Endodontics or Root Canal Treatment is needed when you have a toothache, ie there is pain associated with your teeth, a condition known as acute pulpitis. 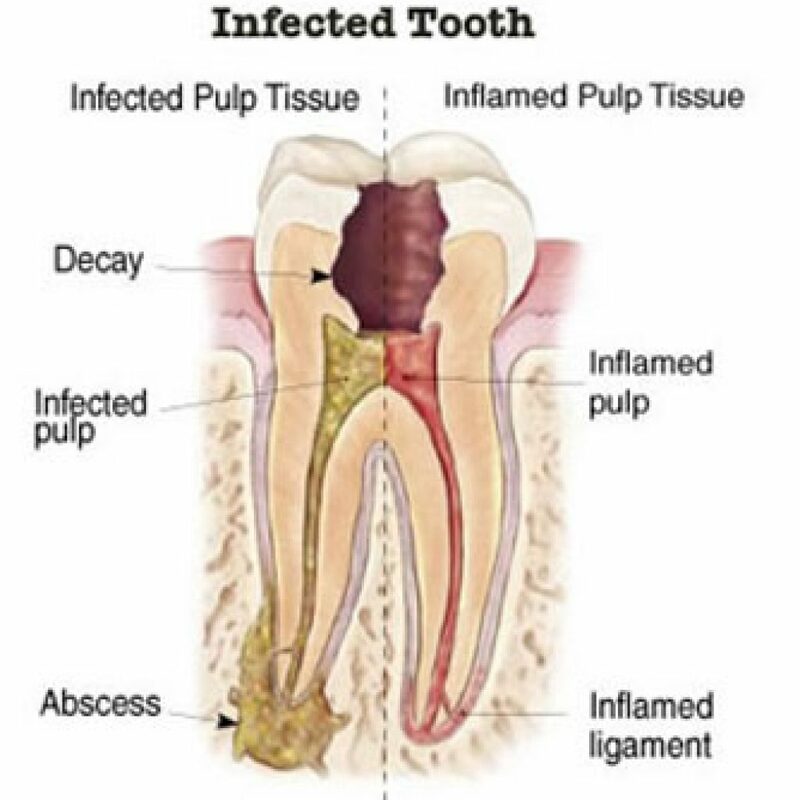 This arises when the pulpal tissue/nerves of the teeth are inflamed due to a variety of factors like decay, trauma, large and deep fillings or insults to the tooth. On the first visit, after a rubber dam is placed, an access hole is drilled on your tooth and the pulpal tissue/nerves are removed. Medicament is placed to eliminate any remaining bacteria in the tooth. 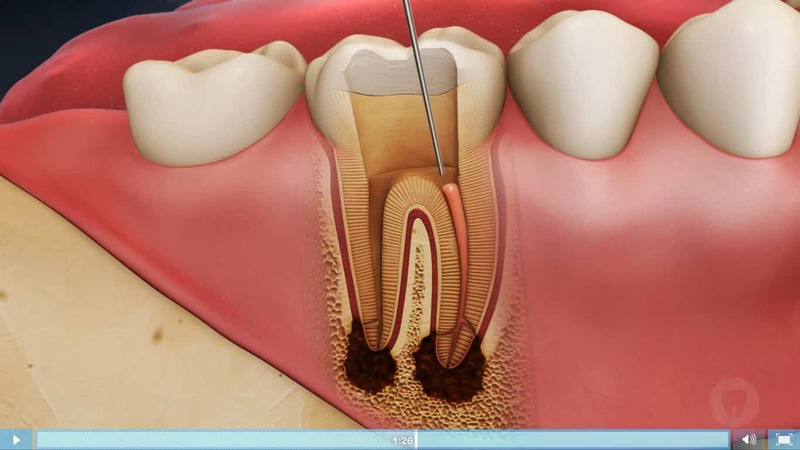 On the second visit, a rubbery type of filling is placed inside the root canal system. You will then be referred back to your dentist who will then build up your structurally weakened tooth with a post-core followed by a crown. 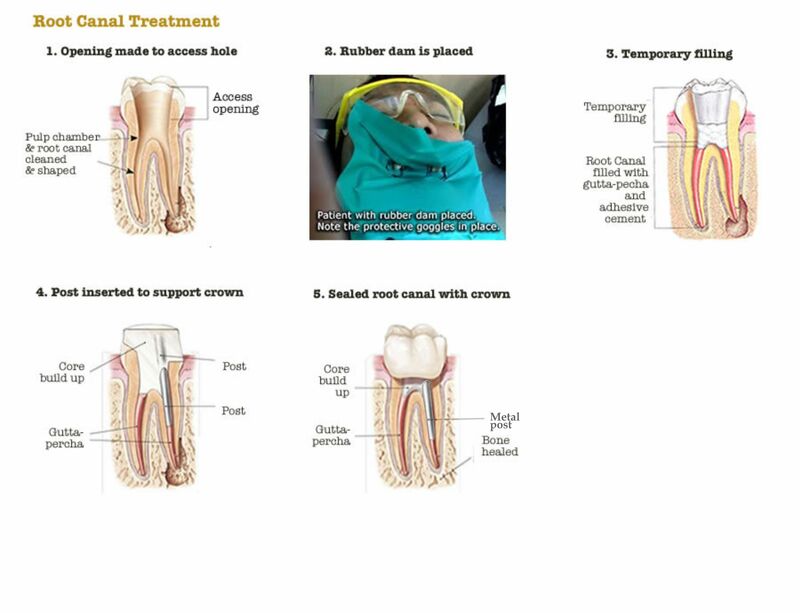 Your root canal treatment is completed only when you have your crown fitted. In the olden days when dentistry was not so advanced, extraction was the only way to relieve the pain from a toothache/acute pulpitis. In the 1960’s, RCT was predictable enough to be offered as a form of treatment. However, the procedure was costly and only the very rich could afford it. Most of the population still had to extract their teeth when they had a toothache. It was common in those days for people in their mid thirties to have a full set of dentures due to removal of all their natural teeth. Hence, Endodontic or Root Canal Treatment (RCT) is a procedure whereby your tooth is saved from extraction and kept in your mouth, years after years, serving you for your chewing pleasure and for aesthetic.